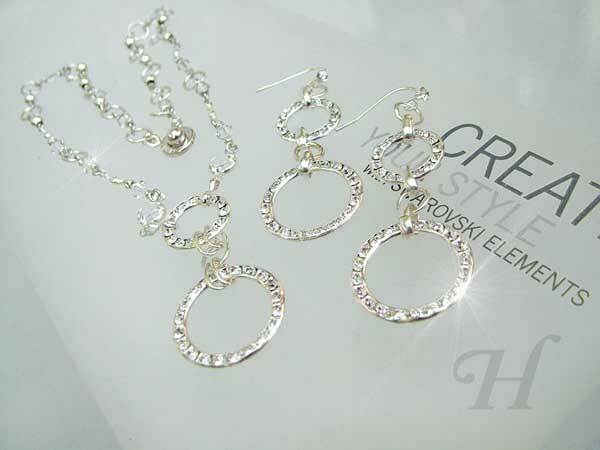 "Glamorous Circles" jewelry set, comprising of matching necklace and earrings, makes use of the most delectable circle settings from Swarovski Elements. A strong vote for understated, undeniable classic style - both the necklace and earrings are bound to elicit a swash of little gasps wherever you go. This Swarovski jewelry features the delectable Swarovski 37714 and 37720 Circles. They are from Swarovski Cupchains and Findings > Multi Stone Settings range. The Swarovski Circles are deliciously crisp and sparkly, extremely versatile, and lends themselves perfectly to designs from the simplest to the more elaborate creations. Swarovski Cupchains and Findings are not as well known as they deserve to be. I can only put that down to the fact that not enough sellers know of nor stock this range. Hence the deserving and creative users don't get to learn of nor see much from this huge category. Both the necklace and the earrings use a combination of the smaller (37714) and the larger (37720) Swarovski Circles. 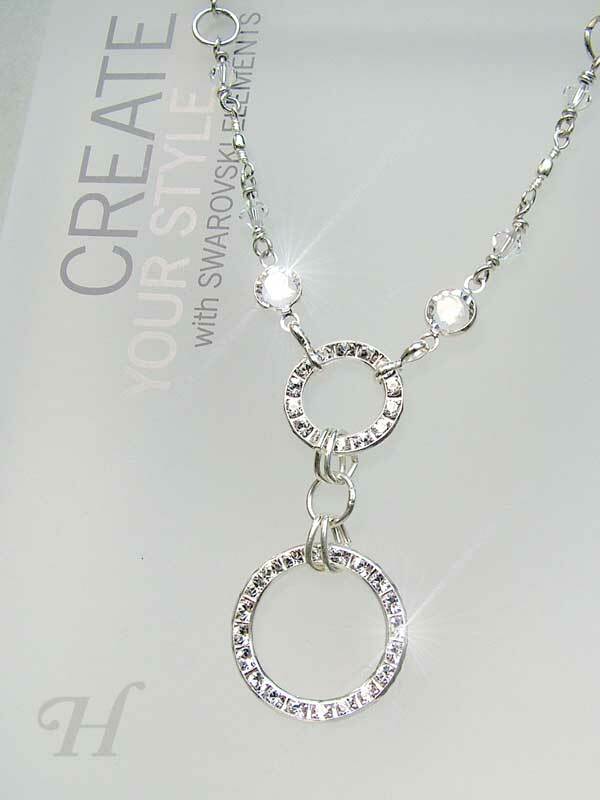 Swarovski Channels are also used near the focal spot on the necklace. I have listed the items separately in my store as it is quite possible that some would prefer to be given that choice.